This year, DCA recruited one of the country’s best-loved TV presenters and internationally famous bushcraft expert Ray Mears to become a Patron of the Isles of Scilly Steamship Group to help the company in its work to promote the UK destination as a unique place to visit and enjoy. 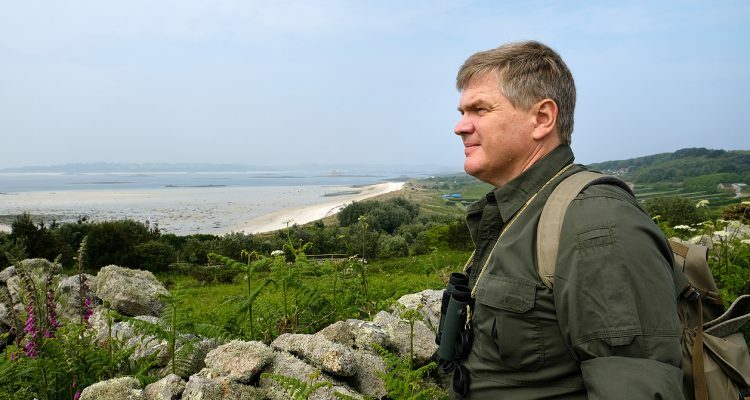 Following on from last year’s campaign which saw enormously popular writer and Devon resident Michael Morporgo commissioned to wax lyrical about Scilly, DCA engaged Ray Mears to front a campaign for its client. The author and bushcraft instructor was judged to be a perfect fit for magical archipelago, which offers a simpler, back to nature approach as one of its key charms. DCA interviewed Ray about why he thought Scilly was so special for a large feature to run in the Group’s on-board S Magazine, available for passengers travelling to the islands on Skybus planes, Island Helicopters and the Scillonian III passenger ferry, and organised for Ray to write the magazine’s foreword. The interview was later repurposed into a first-person article with Ray talking about the charm of Scilly, which was given exclusively to the Western Morning News and used as a large feature. News that Ray had been named as the Group’s Patron also helped to garner media coverage for the Steamship Group regionally, including on Cornwall Live and in media titles such as The Cornishman, This is Scilly.com, Radio Scilly, Falmouth Packet, Cornish Guardian, West Briton and Pirate FM. In May 2018, DCA organised and managed a 3-day trip to the Isles of Scilly for Ray and his wife in the company of Steamship Group staff, so Ray could enjoy time on the islands, get to know company managers, and meet some of the locally-based groups which have directly benefited from grants from the Group’s Community Fund which supports worthy initiatives. Ray spent a day with the Isles of Scilly Wildlife Trust seeing first-hand how rangers are delivering the legacy of the SeaBird Recovery Project, which the Steamship Group has supported from the outset, and took a boat trip to look for Scilly’s famous puffins and Atlantic grey seals. DCA managed a destination and corporate photo shoot featuring Ray on the islands during this visit, to compile an image base of photos of Ray on Scilly for the Steamship Group to utilise in the year ahead, and filmed a number of engaging short videos of Ray exploring Scilly for the company to use online and via its social media feeds. These videos were filmed and edited by DCA’s own in-house video production team.